Get some historical perspective at Old Rauma and The Church of the Holy Cross. Escape the urban bustle at Nuuksio National Park and Teijo national park. There's lots more to do: get engrossed in the history at Turku Castle, contemplate in the serene atmosphere at Turku Cathedral, delve into the distant past at Aboa Vetus & Ars Nova, and admire the striking features of St Henry's Ecumenical Art Chappel. 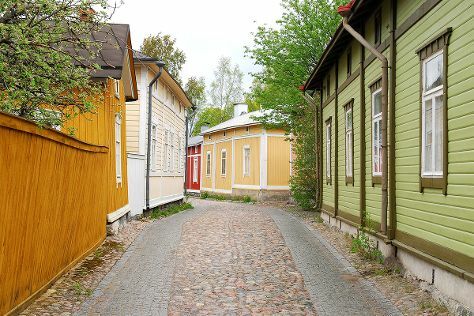 To see more things to do, other places to visit, where to stay, and more tourist information, go to the Turku day trip planning website . If you are flying in from United States, the closest major airport is Turku Airport. In June, plan for daily highs up to 64°F, and evening lows to 47°F. Wrap up your sightseeing on the 1st (Mon) early enough to travel back home.